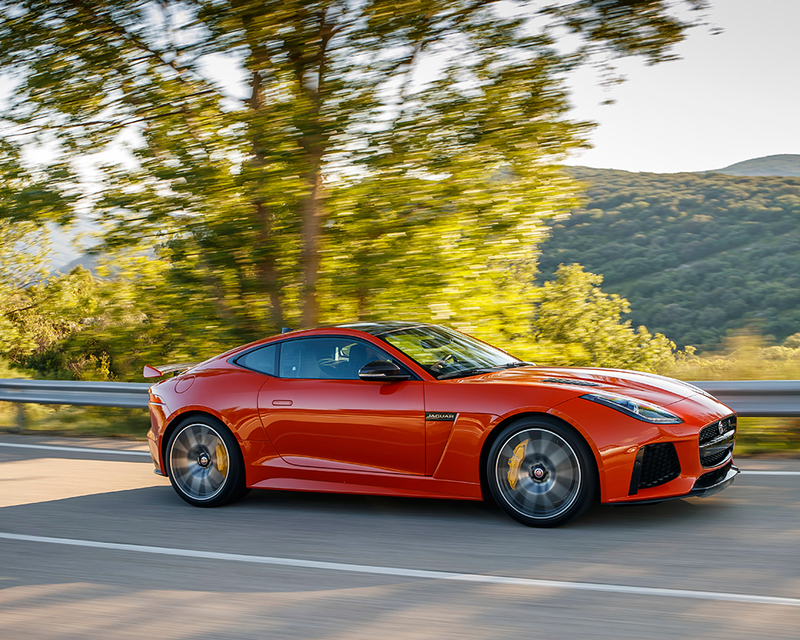 Jaguar has fired a clear warning shot across the bow of the performance arms of Mercedes-Benz, Audi and BMW with its fastest F-Type yet, the 200mph (322kmh) SVR. 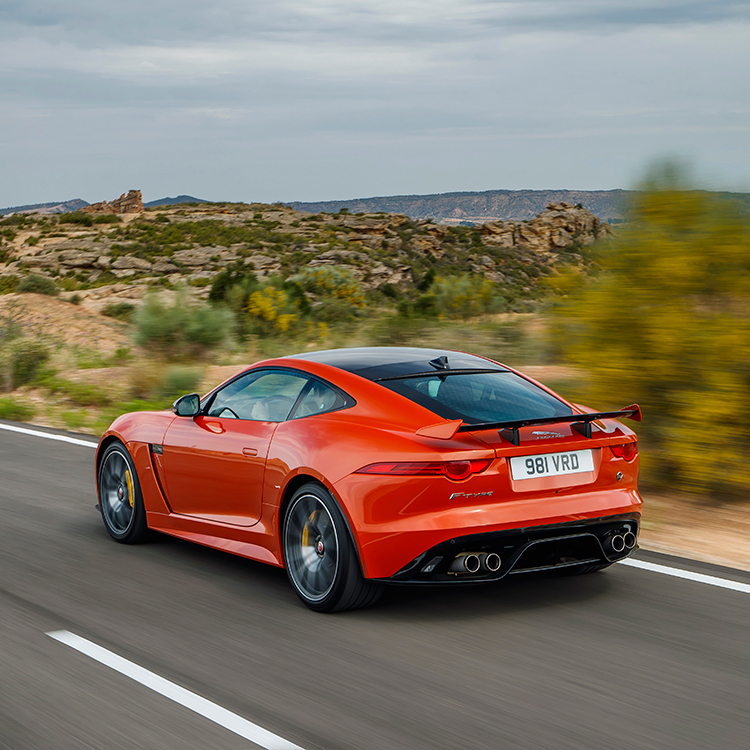 Loud and obnoxious is not the overriding impression I’ve ever had with a Jaguar but with apologies to the few small, rural towns of Spain we blasted through recently, the F-Type SVR has definitely changed that perception. Taking clear aim at AMG, BMW’s M and Audi’s RS bunch of wildly tuned executive tourers, our drive at the Motorland Aragon race track in Spain showed that this was a coming of age for Jaguar LandRover’s (JLR) Special Vehicle Operations (SVO) which, for the past two years, has been hiding under the wings of the JLR empire. 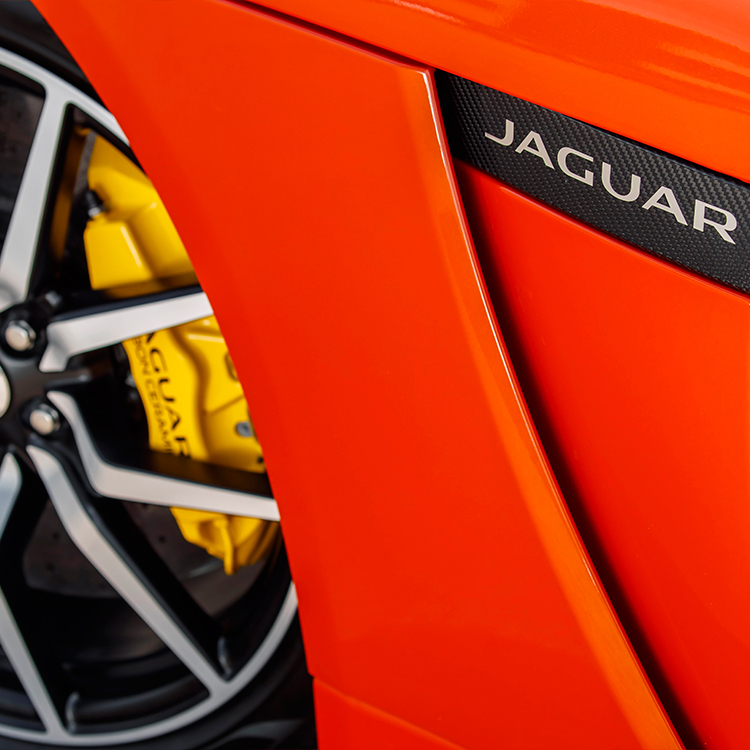 Until now, SVO has worked behind the scenes on the limited build Project 7 Jaguar roadster as well as the Range Rover Autobiography but the F-Type SVR event was its first stand-alone launch away from the mainstream range. 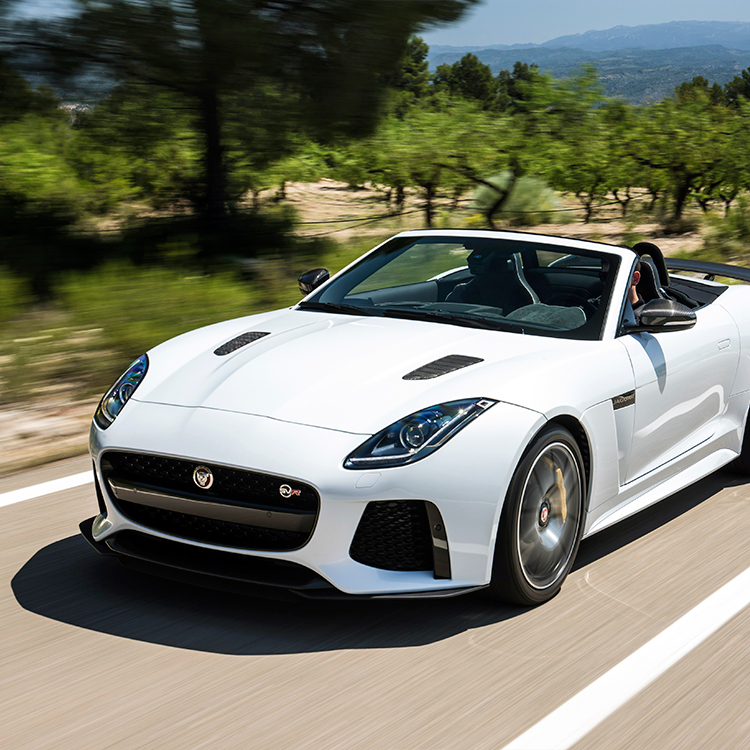 With a starting price of around £110,000, the F-Type SVR is the fastest volume production Jaguar yet. 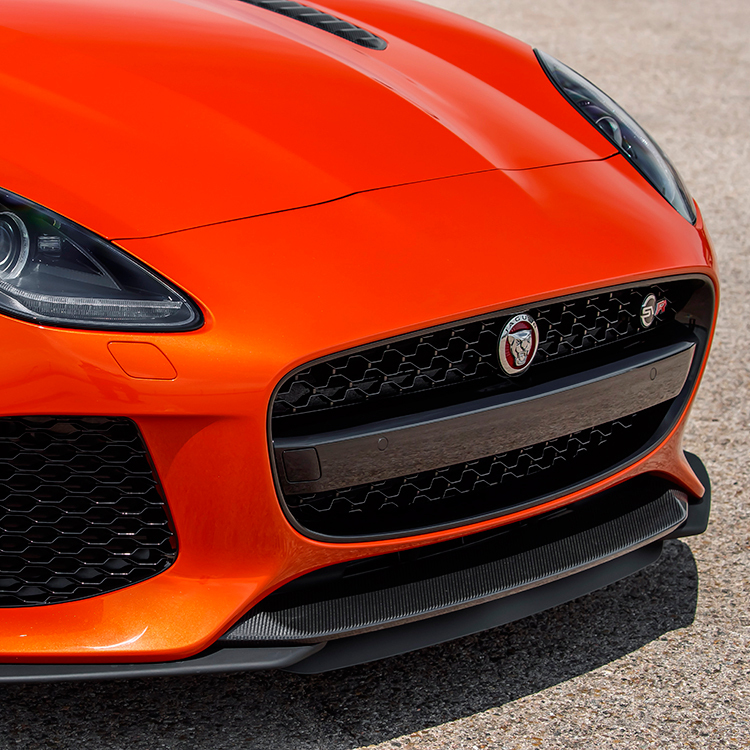 Based on the F-Type R all-wheel drive, the SVR has been on a diet and shed up to 50kg while its supercharged, 5-litre V8 has been given an extra 10bhp and 20Nm of torque, bumping it up to 567bhp and 700Nm. With the Dynamic mode selected that opened the exhaust valves of this 5-llitre supercharged V8, lifting off the throttle rewarded with staccato series of rapid-fire pop, bangs and blats, while even idling through towns, it offered up the soundtrack of a big, lazy American V8 that turned into a NASCAR-like roar with a stab of the throttle. 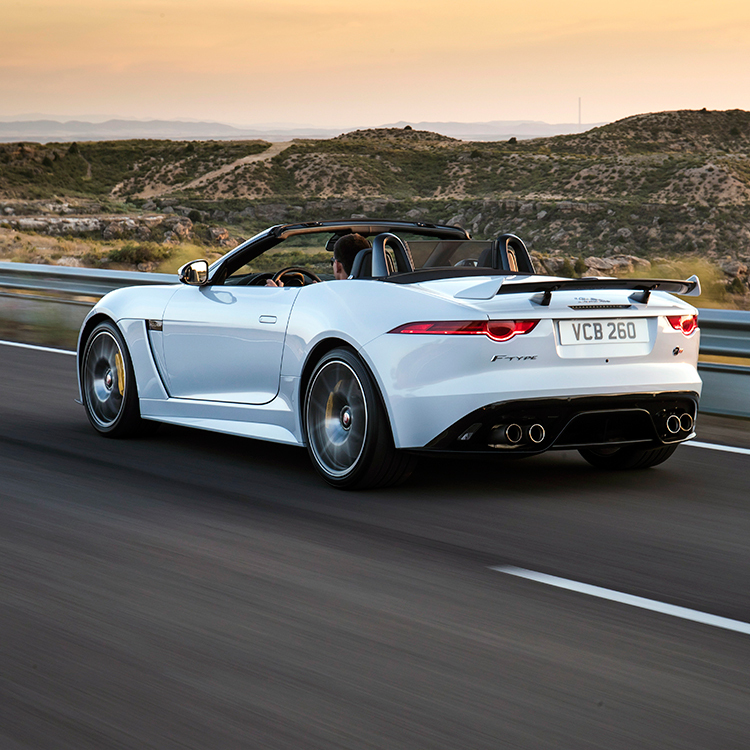 On track, we were encouraged by our instructors to push the SVR to its 288kmh top speed on the back straight, or 180mph in Britspeak. It did it once nicely, twice awkwardly and despite being urged a third time, I felt the brake pedal hit the floor with both feet tramped on it as hard as possible. Thankfully we made it. It was ugly, but we made it. Of course that was an extreme test of its capabilities under track conditions, whereas our near four hours of spirited, open road driving on the same day with the same spec 290mm front and 380mm rear ceramic discs never hinted at anything but perfect stopping performance every time. 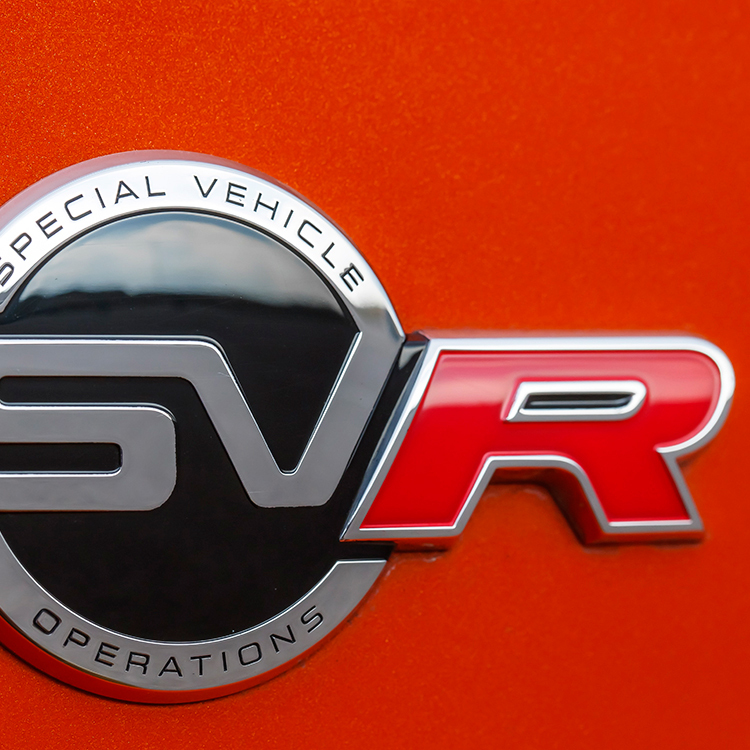 It’s clear that there’s plenty more to come from JLR’s Special Vehicle Operations whether that be SVR-badged Jaguars up to and perhaps even including the XJ, more from the Range Rover Sport SVR, Autobiography and SVX-badged Land Rovers, but with the F-Type SVR trickling into showrooms, it’s a welcome addition to the performance luxury market.